School Purchase Order Program for MacBook Air Repairs. Along with credit card payments, pre-payments by check or money order or PayPal payments, Mission Repair accepts Net 30 term accounts and offers volume discount pricing to Schools and Government Institutions. Mission Repair offers open accounts, net 30 day terms to government entities, public school systems, universities, and colleges. There is no minimum order amount, but allow 1 to 3 days for your terms account application to be processed. For orders needed before your terms account is established just give us a call to expedite the process. 1. Contact us at 1-844-459-0105 and speak to a sales representative to obtain current pricing and explain your intentions of using a Purchase Order. 2. Fax the completed purchase order clearly stating NET 30 to our sales department at 913-948-6991. All purchase orders must have a contact name, telephone number and valid email address. Standard payment terms are Net 30. Orders will be processed upon approval of the account setup process, and Mission Repair has received a copy of the purchase order indicating the correct Bill and Ship to addresses along with the model no., and quantity needed. Any purchase order with terms greater than 30 days will not be accepted. Orders will be shipped regular ground and are subject to normal shipping rates (4-7 business days). Expedited shipping is available upon request (1-3 business days). Payment is required 30 days from ship date. We reserve the right to decline Net 30 Terms on any Purchase Order at our sole discretion. Orders over $10,000.00 usually require an up front deposit. For additional information on our terms policies and procedures, please contact our sales department or read more here. This is a quick reminder that for the month of May, we will be offering an amazing deal on our fantastic 11″ and 13″ Macbook Air LCD screen repair services! This repair is actually very tricky. It is not just a matter of uninstalling a whole screen assembly and installing a brand new one. We actually have to build in all the pieces into your already existing back case. It is something that I would definitely not recommend trying on your kitchen table! It takes specialized tools and knowledge to complete the repair successfully. Thankfully here at Mission Repair, we have both! We have done the R&D to make sure the repairs on theses little guys go off without a hitch every time. 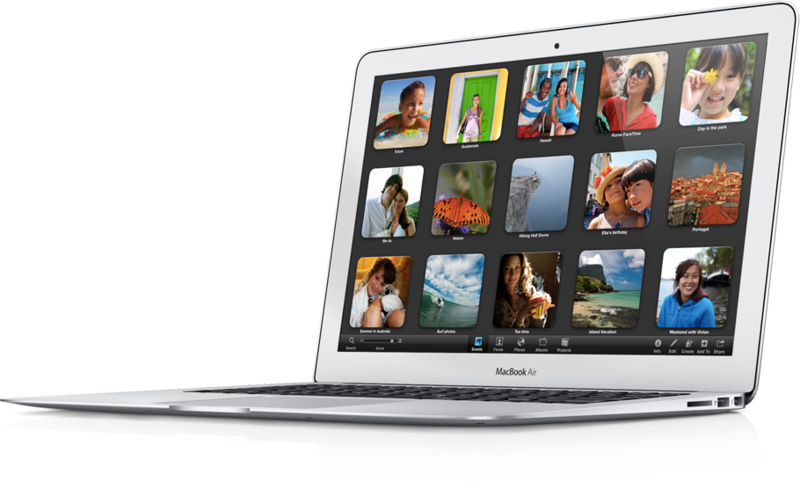 If you have a 13″ or 11″, we will professionally repair your Macbook Air and have it back in your hands in no time flat! To get started just follow this link: Deal Of The Month and choose your size of Macbook Air or give us a call at 866-638-8402! 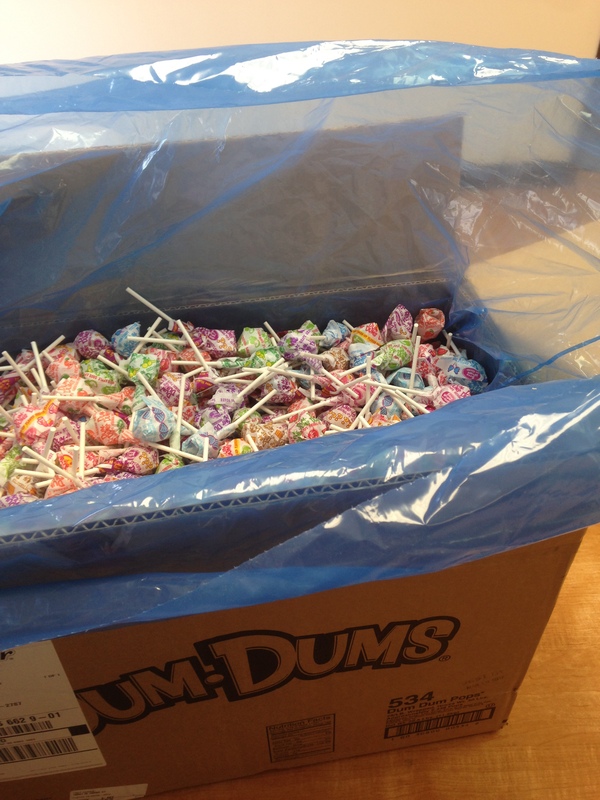 Thats right, 33 pounds of Dum-Dums! This epic edition to the Mission Repair benefits has just put us over the top as your favorite repair center, hasn’t it? I guess for 2015, they will have to add this key feature to our Top 10 review! Deal Of The Month (May)! How your Macbook Air should look!